Short breaks are very popular but not all short trips are equal. Finding the right luggage for short breaks depends on the trip. Are you going on a romantic weekend away or on short business trip? Are you going on a cultural spring break or visiting Christmas markets? Do you need to pack any formal attire or is it casual all the time? Are you planning to do some shopping? Most people going on a short break prefer to pack light. Many travel with carry-on bag only. This is though not always an option, e.g. if travelling to cold climate or when going on a shopping break. The best luggage for short trips always depends on the trip. If you are only taking a carry-on bag, then the main criteria is likely to be space. The best carry- on luggage for short breaks is spacious and lightweight. You need to be able to pack everything you need on your vacation, i.e. clothes, shoes, toiletries, and gadgets. You can get carry-on luggage with separate compartments, i.e. main compartment for clothes and separate compartments for shoes, toiletries and / or gadgets. Separate compartments are good for your belongings but they usually limit the packing space available. Therefore, if you need to cram much in your carry on bag, then one roomy compartment is usually better choice. 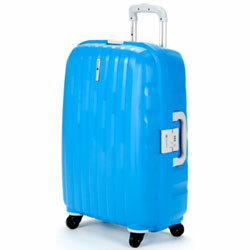 You definitely want wheeled luggage for short trips, as your bag is likely to be heavy when packed. 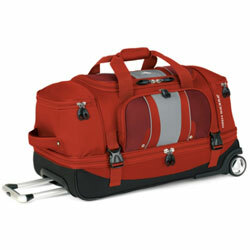 Spinner bags are getting increasingly popular, as very easy to maneuver in tight and busy spaces like airports. Flexibility may also be important, especially if you want to use the carry-on bag on different short breaks. 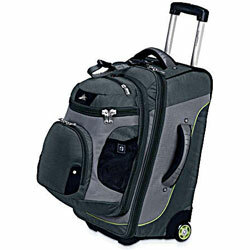 We have picked few carry-on bags in different price range that we consider good luggage for short trips. The Samsonite Aspire Sport 21 in. is good quality carry-on bag at great price. It is made of durable polyester and has two external zipped pockets that are great for those items you need easy access to, like your travel documents and entertainment (gadgets, magazines, books). It has one roomy main compartment and two pockets on the lid, i.e. for dirty laundry or items you want to keep separate, e.g. toiletries. It also has one clear TSA approved pouch for storing toiletries for airport security inspection (saving time and hassle at the airport). The bag is expandable if you need more space, e.g. if you got tempted in the shops. 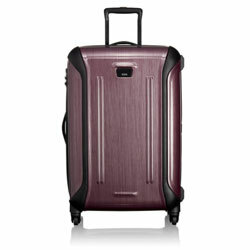 The spinner wheels individually rotate, making the Samsonite Aspire Sport easy to maneuver. Maybe the biggest downside is the weight but the empty bag weighs 10 lbs (4.5 kg). Samsonite Aspire Sport is still a great carry-on luggage for short breaks and the price is great too. Below is Amazon's best sellers. We love the flexibility and space that this High Sierra bag offers. These are two bags in one and at a price that is reasonable for even one bag. This is wheeled backpack with recessed telescoping handle. There are hidden padded backpack straps behind the padded back panel, allowing you to carry the main bag on your back if preferred. Then there is removable daypack that is great when out and about at your travel destination. The main bag has large main compartment with interior clothing straps. You can fit a lot into the High Sierra carry-on bag (46.2 liters). Both bags empty weigh 10 lbs (4.5 kg). This unique bag offers amazing flexibility and practicality. It is wheeled luggage, backpack and daypack in one. It comes as no surprise that High Sierra is popular among adventure travelers but it is a great luggage for any short trip. Below is a selection of High Sierra AT3 Sierra-Lite luggage available at Amazon. This Antler Liquis 22 in. bag is made of durable polycarbonate shell but is still extremely lightweight, weighs only 4.8 lbs (2.2 kg). It consists of one roomy main compartment, giving you maximum packing space (43.2 liters) and flexibility. The 3 stage locking pull up handle and the spinner wheels are of good quality and it has inbuilt TSA combination lock. Lightweight, spacious, durable, and maneuverable are the keywords when describing this Antler Liquis luggage for short trips. It is not the cheapest carry on bag (or the most expensive) but the good quality makes it good value for money. Below is Amazon's selection of lightweight carry on hard case luggage. These are just few examples of best carry on luggage for short breaks. You will find more great hand luggage for short trips in our Luggage Shop. Sometimes carry-on bag is not the suitable luggage for short break. You need check-in luggage as well. The best suitcases for short breaks tend to be on the smaller side. You don't want too big bag but it has to be big enough for what you need to bring with you and / or add to your luggage (shopping). The so-called mini suitcases are excellent luggage for short breaks, i.e. 23 to 25 inches. Spacious, lightweight and easy to maneuver are important features as always. The internal organization of the bag is more up to personal preference, i.e. do you prefer separate compartments for easy organization or roomy main compartment for maximum space and flexibility. We have picked few great suitcases in different price range that we consider good luggage for short breaks. 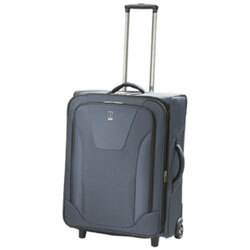 The Travelpro Maxlite is very popular luggage for short breaks. It comes in many sizes but the 25 in. is usually suitable for most short trips. 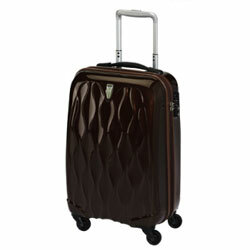 You can also get Travelpro Maxlite with traditional two wheels or with four spinner wheels. Travelpro Maxlite is made from rugged polyester with water repellent coating. It is extendable and has one deep external pocket with small built in pocket for loose small items. The internal space is roomy and flexible. The main compartment is generous with tie down straps to secure your belongings and small mesh pocket on the side for loose small items. There is also full-length zippered lid pocket. 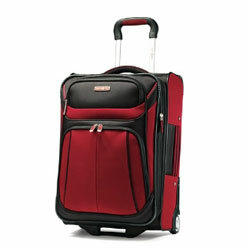 Travelpro Maxlite 25 in. is very practical mini suitcase that is suitable for most short breaks. And the price is excellent too. Sample of Travelpro Maxlite luggage available at Amazon. The Delsey Helium 26 in. is a 4-wheel spinner trolley. This is a spacious and fun suitcase, ideal when you need lots of space. No space is lost. There are just two big main compartments, allowing you to pack amazing 74.9 liters. The elasticized straps keep your belongings in place. The Delsey Helium is composed from rugged polypropylene, making them lightweight and durable. The colors are bright and vivid, making the bag stand out on the luggage carousel... even the black one. Sample of Delsey Helium luggage available at Amazon. For those that prefer duffel bags for their short trips then High Sierra Evolution 28in. is a great option. This is very lightweight, spacious, and flexible piece of luggage. It weighs only 7.4 lbs (3.4 kg) but can carry up to 85.4 liters. There are number of packing compartments. There is large main compartment with U-shaped opening. The lower bottom compartment has hold-down straps and there is zippered upper compartment that can be rolled up to create one large compartment. There is also zippered front accessory pocket and two top loading end compartments, giving you great flexibility when packing your luggage for short breaks. High Sierra Evolution is made from durable nylon and special built-in high-density foam structure helps maintaining the bag's shape. This is a great suitcase for those that need to fit a lot in. And the price is great too. Sample of High Sierra Duffel luggage available at Amazon. Tumi Vapor medium trip packing case is 25 in. but deceivable spacious (76 liters). It is made of tough, lightweight triple polycarbonate shell with patented telescoping handle and 360-degree swivel wheels. The printed graphic exterior reduces surface marks but it also makes this bag stand out from the crowd. This is a stylish top quality bag. Tumi bags do not come cheap but they are classic and they are made to last. Sample of Tumi Vapor luggage available at Amazon. These are just few examples of great luggage for short breaks. You can find more best suitcases for short breaks in our Luggage Shop.